Chase Amante presents the most comprehensive, crystal clear, step-by-step guide on how to succeed with women ever written. Tossing aside trite convention and meaningless mainstream pop culture's "just be yourself" style advice that doesn't do anything to help men get the girls they want, one of the world's foremost teachers of seduction takes you on an in-depth tour-de-force that opens your eyes and shines a spotlight into every hazy corner of seduction there is. Learn what it is women are looking for, why it's better that girls don't want you for a boyfriend (even if that's what you want to be), how to make women feel the way that badboys and rock stars do, and why the advice you've been reading about how to be fun and engaging and entertaining with women is all wrong. 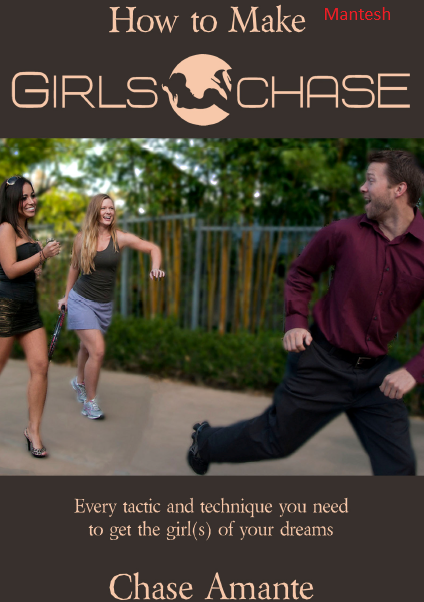 As an experienced instructor who's perfected his techniques by teaching them to countless aspiring seducers, Chase will help you succeed with women when everything else you've tried has gone nowhere. No matter how good or bad you are with women, if you'd like to be even a little bit better at getting girls interested in you and chasing after you, you need to buy this book.